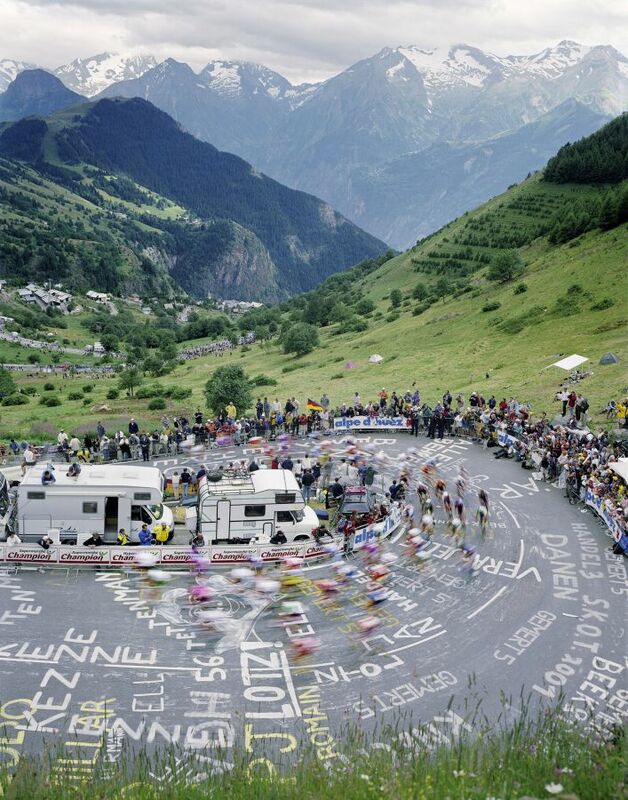 In july 2001 Philipp Hympendahl made this unique photo in Alpe D`Huez. He travelled to the epic mountain with an 8x10 Inch film camera and with only 4 exposures possible he came back with his personal favourite picture of all time. 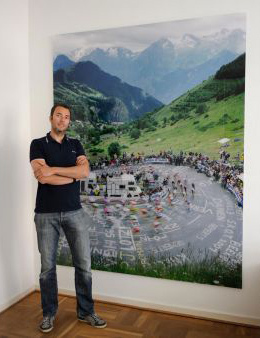 „La Photo" is limited to a series of only 6 copies. The formate: 1,80m x 2,30m. The first specimen was auctioned off in 2010 for the benefit of the Special Olympics sports organisation for the disabled. 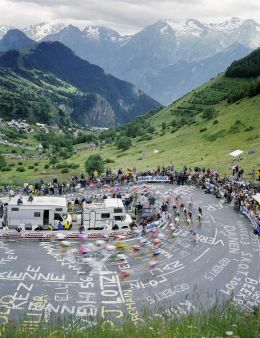 One copy is on display in the cycling museum in Oudenaarde, Belgium, while another was on display until recently: "Mythos Tour de France" at the NRW-Forum in Düsseldorf, together with artists such as Andreas Gursky and Robert Capa. The painting is limited to 6 copies of which 4 have already been sold. All copies are provided with a certificate and original signature. 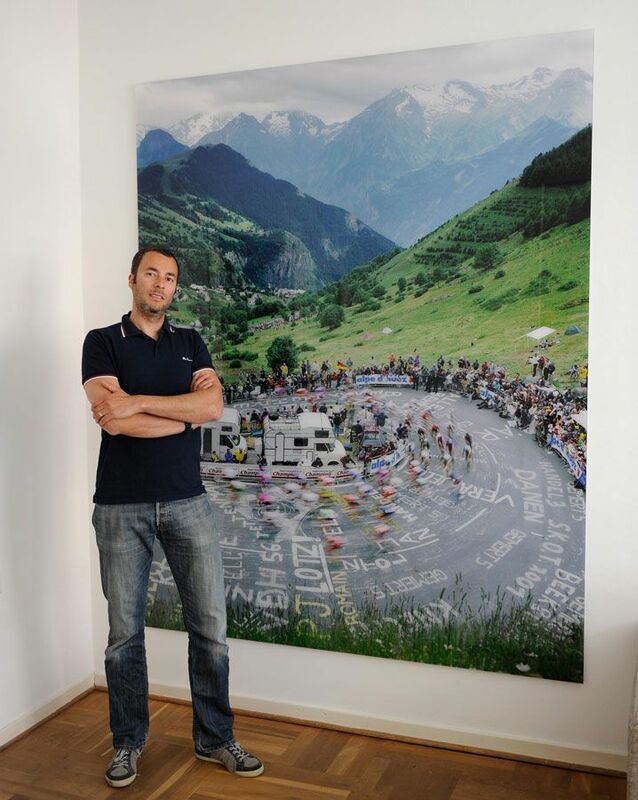 "La-Photo" is a special, artistic single work, which hardly exists in the combination of cycling and art. It has become more and more famous in the last years and through the strict limitation an interesting work for lovers and collectors.